Gov. Dayton insisted on Republicans capitulating on 5 major items in exchange for restoring funding for the legislature. The 5 items Gov Dayton is requesting are to reverse tobacco tax breaks, cancel a cut in estate taxes, remove a freeze on statewide business property taxes, take out a provision that prohibits undocumented immigrants from getting driver’s licenses and renegotiate a measure that allows professionals to become teachers easier. In other words, Gov. Dayton wants Republicans to relinquish their biggest legislative victories this session. Simply put, that ain’t happening, especially issuing the real ID to illegal aliens and removing the freeze on statewide business property taxes. Gov Dayton isn’t that bright. He thinks he’s got leverage but he doesn’t. The legislature is an essential service. In the past, courts have ruled that essential services must be funded. Further, the DFL is further alienating main street by removing the freeze on statewide property taxes. That’ll piss off lots of small business owners. The DFL is already bleeding those voters. Now, they’ll lose more of those voters. Gov. Dayton is doing to the DFL what President Obama did to the Democratic Party. He’s shrinking the DFL both numerically and geographically. By the tie the 2018 happens, the DFL will essentially be found only in Minneapolis, St. Paul and Duluth. As Chair of the LCC, Speaker Kurt Daudt (R-Crown) issued the following statement. “Yesterday, the governor took an unconstitutional step to defund the Legislature, attempting to silence both the House and Senate for the next four years. 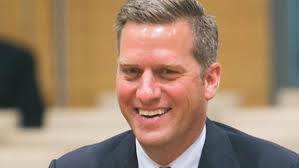 As I stated earlier, I am disappointed in the governor’s behavior and his decision to veto our operating budget over differences he previously agreed to,” said Speaker Daudt. “The governor has left the Legislature no choice but to seek outside counsel in an effort to defend the people’s voice at the Capitol. According to this WCCO-TV article, Gov. Dayton will decide by tonight whether he’ll veto any of the 10 bills agreed to, passed and sent to his desk last week. The most likely outcome is that Gov. Dayton vetoes the tax bill but signs the other 9 bills, thereby avoiding a government shutdown but vetoing the Republicans’ tax cut bill. By doing this, Gov. Dayton would give Republicans a major weapon against the DFL in the 2018 gubernatorial election. By vetoing the Republicans’ tax cut bill, Gov. Dayton will certify that the DFL a) is untrustworthy and b) thoroughly hates tax cuts of any sort or size. WCCO/DFL stenographer Esme Murphy was wrong in stating that “If the governor vetoes even one of the bills, that means it would be back to square one: more negotiations, another special session and a new deal would have to be reached or the government would shut down on July 1.” There wouldn’t be a government shutdown if Gov. Dayton vetoes the transportation and/or tax bills. Since this session of congress started, the Democratic Party has been the Resistance Party. Their special interests have forced them into that identity rather than being the loyal opposition. Part of the Democratic Party’s identity crisis is caused by their lack of new ideas. 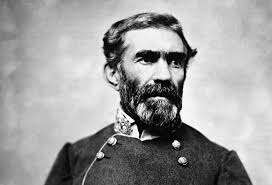 When the Democratic Party stopped thinking of fresh ideas, they stopped appealing to people. That’s how they lost PA, MI and WI. This session, it’s impossible to identify the Democrats’ pro-growth policies because they don’t have any. We’ve just suffered through 8 years of, at minimum, substandard economic growth. Thus far, Democrats haven’t offered a single constructive idea to get America’s economy going again. Their ‘economic package’ thus far has been income inequality and the push for a $15 minimum wage. That isn’t an economic plan. That’s a complaint list. Another illustration of the Do-Nothing Democrats is how they’ve said that Obamacare “isn’t perfect”. (That’s an understatement.) Still, Democrats haven’t offered a single amendment to fix the bill that they say isn’t perfect. Democrats have rationalized their doing nothing by saying that they won’t offer amendments until repeal is taken off the table. That isn’t an excuse for fixing what Democrats broke in 2009-2010. 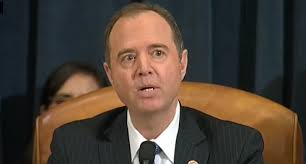 Adam Schiff is on TV virtually every day complaining about the fake Trump-Russia scandal. He hasn’t offered a single amendment to fix our ailing economy or our broken health care system. He’s a total whiner. Why elect Democrats when all they want to do is continue Obama’s economic stagnation? Especially when it comes to health care, Democrats can’t help but wildly distort the truth. First, the basics: the CBO scoring of the House bill says that approximately 22,000,000-24,000,000 fewer people will have health care if the American Health Care Act is signed into law. According to the Democrats, the people most affected by the AHCA will be people with pre-existing conditions and the elderly. Again, that’s an outright lie. The elderly won’t lose coverage if the AHCA is signed into law because Medicare is still the law of the land. People with pre-existing conditions won’t lose coverage because of high risk pools. Minnesota had a high risk pool prior to the ACA. In 2007, the Kaiser Health Foundation reported that 92.8% of Minnesotans were insured. With nearly everyone insured, it isn’t a stretch to think that the majority of seniors and the majority of people with pre-existing conditions were insured. In fact, it’s a pretty safe assumption that high percentages of those demographics were covered. Whichever memory you choose, the results are the same. The Democrats’ primary tactic is to fabricate answers in the hopes of frightening people. It’s always been that way. If this article is telling the truth, some Obama administration officials likely will be facing substantial jail time. Eventually, the FISA Court got so frustrated with the Obama administration that it rebuked them. It’s clear that Obama administration officials should be worried about their legal exposure. This time, Susan Rice’s testimony won’t be off-the-record. This time, it’ll be under penalty of perjury. Let’s just say I’m thankful I’m not facing Ms. Rice’s situation. 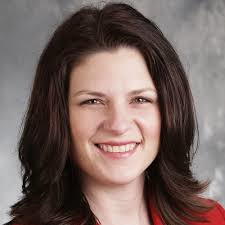 Early this morning, House Majority Leader Joyce Peppin went toe-to-toe with House Minority Leader Melissa Hortman over whether the DFL would support the GOP Tax Bill. To pass the bill, the House suspended the rules, which requires 90 votes to pass a bill in the House. Initially, Peppin asked whether Hortman would supply the additional 13 votes to pass the bill. Hortman replied that she’d vote for the bill but that she couldn’t speak for her members. Peppin pounced at that answer, saying that she’d signed a document that said she’d help pass the GOP Tax Bill. Hortman argued that she couldn’t tell others how to vote, causing Peppin to say that that logic essentially voided the agreement between Gov. Dayton, Speaker Daudt, Senate Majority Leader Gazelka, Senate Minority Leader Bakk and Hortman. The DFL offered numerous class-warfare amendments to the bill, each of which were defeated. The bill was tabled before final passage, at which time the DFL caucused for half an hour. When they returned, Hortman had ‘found’ the 13 votes (and then some) to pass the bill 102-31. Joyce Peppin stared down the House DFL leader and beat her. Congratulations, Mrs. Peppin! Last night, Gov. Dayton blinked. Last night, Gov. Dayton agreed to most of the Republicans’ demands. During each of the last 2 budget sessions, Gov. Dayton’s top 3 priorities were raising the gas tax, universal pre-K and funding SWLRT. In each of those sessions, he’s fallen short on all 3 items. Last night, Gov. Dayton caved on all of those items plus agreed to the Republicans’ $660,000,000 middle class tax cut. In short, the GOP accomplished a clean sweep on their major priorities. In short, Gov. Dayton’s arguments with himself have left Minnesotans wondering when (or if) he’ll put a priority on negotiating. At this point, it isn’t certain that Gov. Dayton is capable of that. Frankly, I’m not certain he ever was. True to form, Gov. 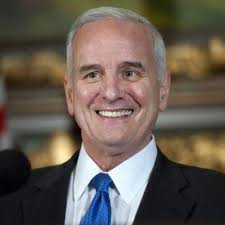 Dayton inexplicably vetoed middle class tax relief that Republicans supported and that the DFL rejected. The truth is that Gov. Dayton won’t sign a tax bill that demolishes his tax increases from 2013. For all their talk about loving the middle class, the truth is that the DFL loves tax increases exponentially more than they love the middle class. The DFL’s last centrists have either died or switched parties. Gov. Dayton and President Obama are leading the way in making them politically irrelevant. UPDATE: All 89 DFL legislators (57 in the House & 32 in the Senate) voted against the GOP tax cuts. A state’s budget is a real-world reflection of a state’s priorities, it’s as simple as that. We need the budget to reflect the priority that we, as a state, have always placed on higher education. A university’s budget reflects its priorities, too. SCSU wants to spend more money on rebranding. The last time they did that was 5 years ago. They spent north of $400,000 on that. After rebranding, enrollment kept declining. The truth is that SCSU and MnSCU have been badly mismanaged. Nowhere in Herger’s letter does he talk about improving leadership. He just talked about throwing more money at failing institutions. If you don’t fix the root cause, the problem will never get solved.